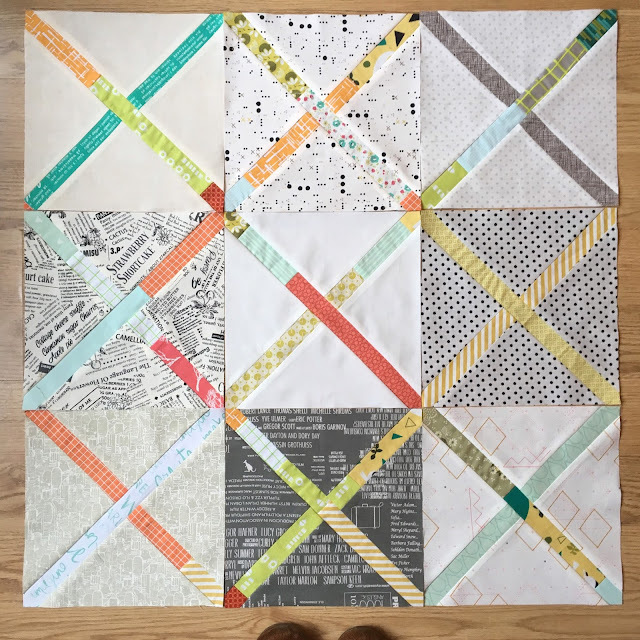 When Debbie of A Quilter's Table announced the Crosscut Quilt-Along, using her Crosscut blocks tutorial I jumped right in! I decided to go for a scrappy look and raided my scrap stash for long strips. For some reason I was drawn to bright autumnal colours - orange, yellow, green and a bit of grey and brown. 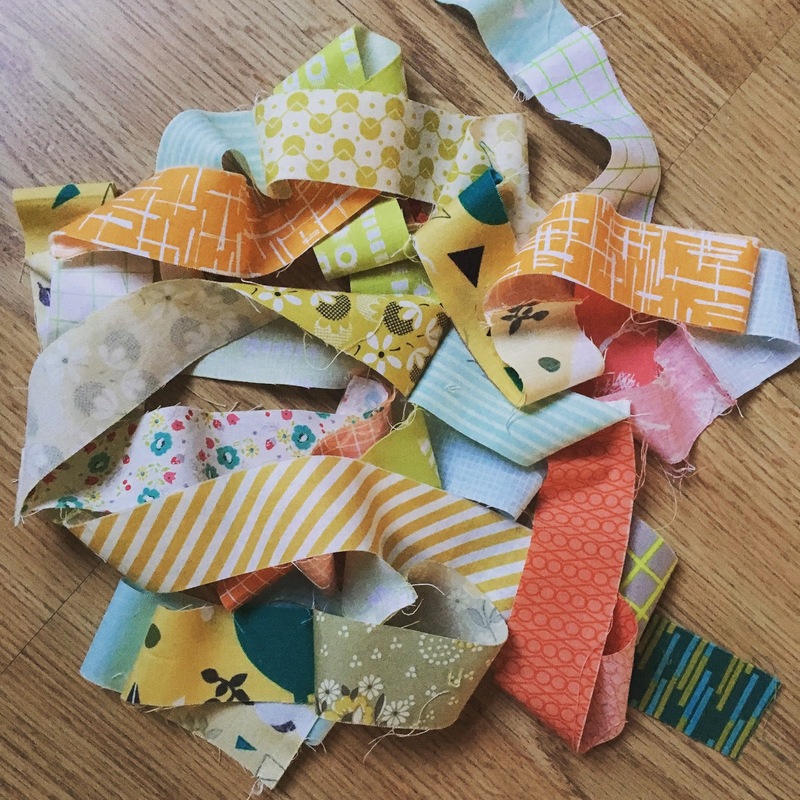 I sewed them all together, jelly roll race style, and picked out some of my favourite low volume prints to make the blocks. When I was re-cutting I made sure to keep that piece of fabric that has 'Lucy' on it! Every stage was really fun and it was cool putting the blocks together and coming up with something totally unique. I have plans for this little quilt top and I think I will be incorporating it into something else. Thanks for the fun quilt-along Debbie! You are welcome! 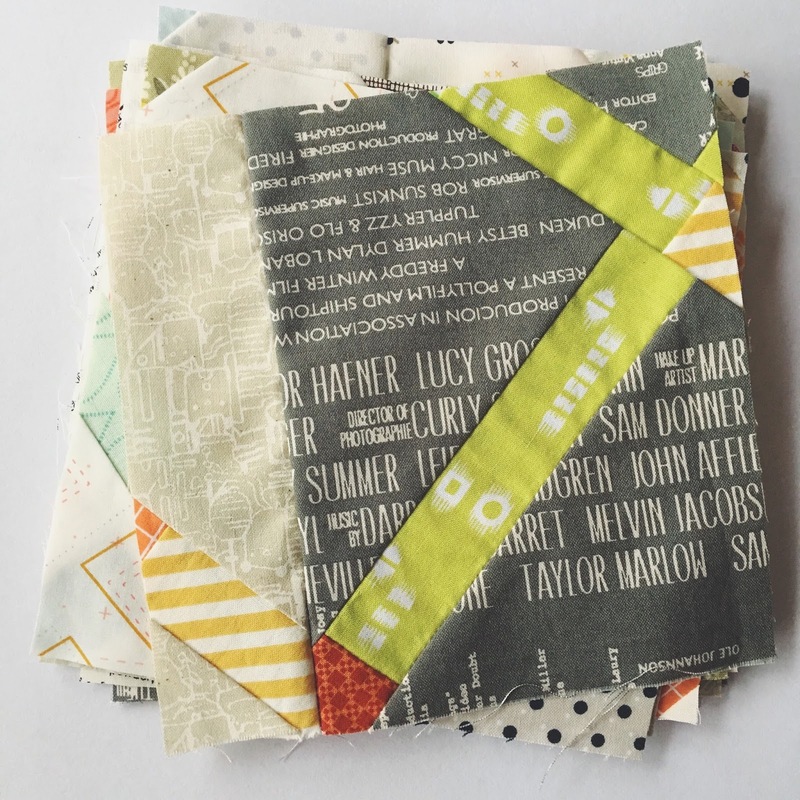 I love your little quilt top - such a fun mix of colors..... and I'm anxious to see what you do with it next! This looks great with all these colours. 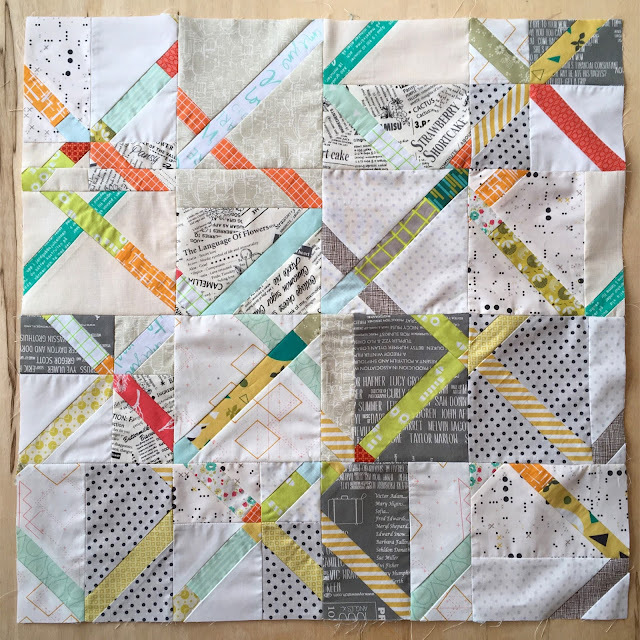 Have fun quilting it! Very pretty Lucy! This one is definitely on my 'to-do' list! I do love this design! I didn't have time to follow along with the quilt-along as it was going, but I am planning on going back to follow the directions. I really like your scrappy look! So curious to see its next phase! wow this is a really fun take on this project -- love that you did the strips race style first. Lucy I absolutely love and adore your Autumn colors and the grey background blocks too. Such pizazz! I love the way you did the "jelly-roll race" strips, it looks great!